MKE Music Rewind: Heidi Spencer & The Rare Birds, "Alibi"
Of all the weird and wonderful things we saw at this weekend’s Midwest Gaming Classic (more on those below), the one thing that stood out was the presence of recently disgraced video game champ Billy Mitchell. The former competitive video game player was a legend in the 1980s, setting high scores in games like Donkey Kong and Pac-Man. In 2007, he gained a huge boost in notoriety with his appearance in the documentary The King Of Kong: A Fistful Of Quarters, which portrayed him as a scheming villain to Steve Wiebe’s scrappy underdog. 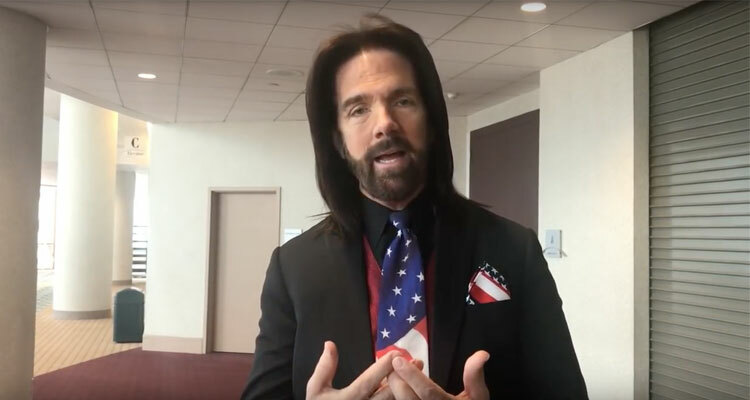 Late last week, following years of accusations and months of investigation, Mitchell was stripped of all his high scores and permanently banned from the Twin Galaxies organization. It would be enough to send anyone into hiding for a few weeks/months/years. Huh! Anyway, here are some more pictures from this year’s MGC, including our photo op with Mr. Mitchell, who brought along not one, but two suits. Oh, and a shot of us with Svengoolie.